FA-1 5215 at Memphis, Tennessee in April 1964 (Golden Spike Productions). GP40-2 772 at St. Louis, Missouri in June 1979 (Vernon Ryder). SW9 305 at Birmingham, Alabama in October 1973 (W.B. 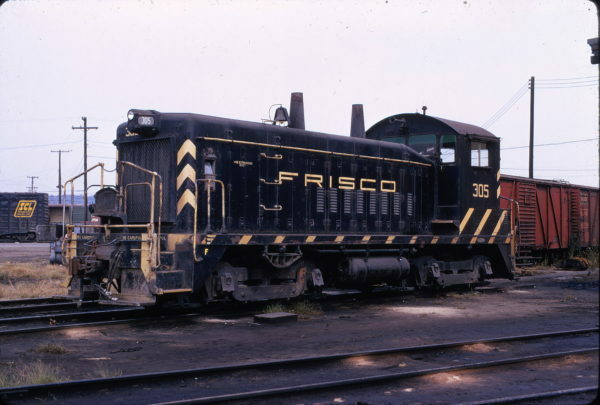 Folsom). 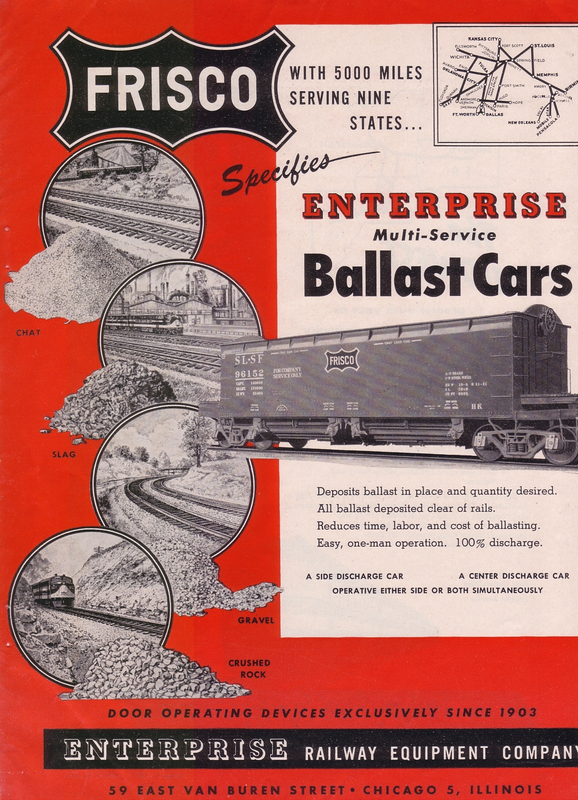 Enterprise Railway Equipment Company – advertisement date and publication unknown. 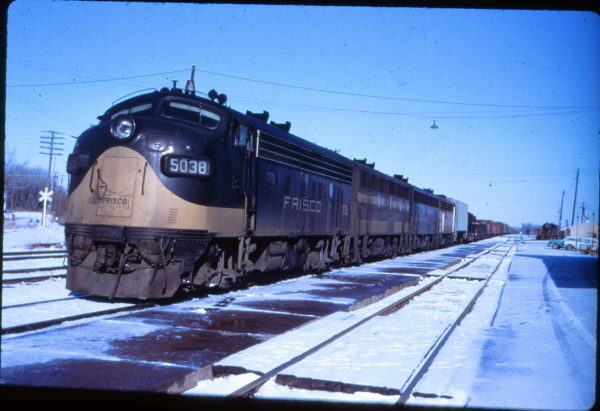 F7A 5038 at Fort Scott, Kansas (EVDA Slides). 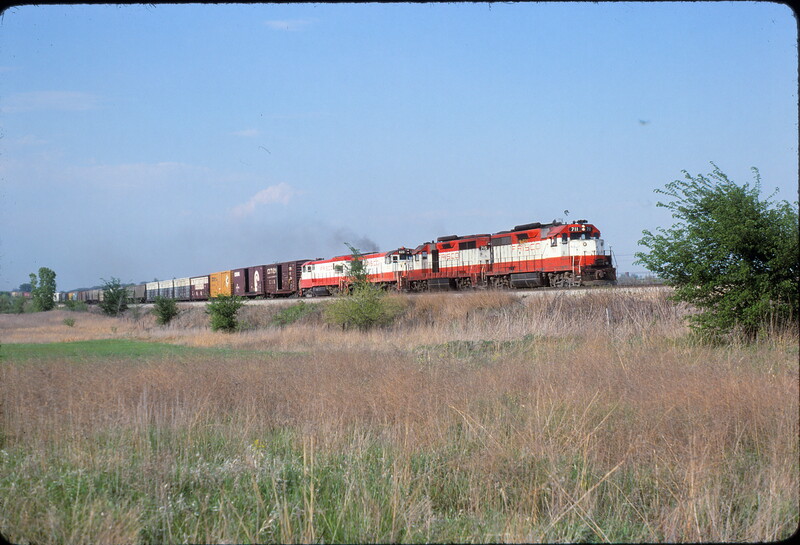 Two slides of this image are available. One is dated February 1967 and the other February 1970. 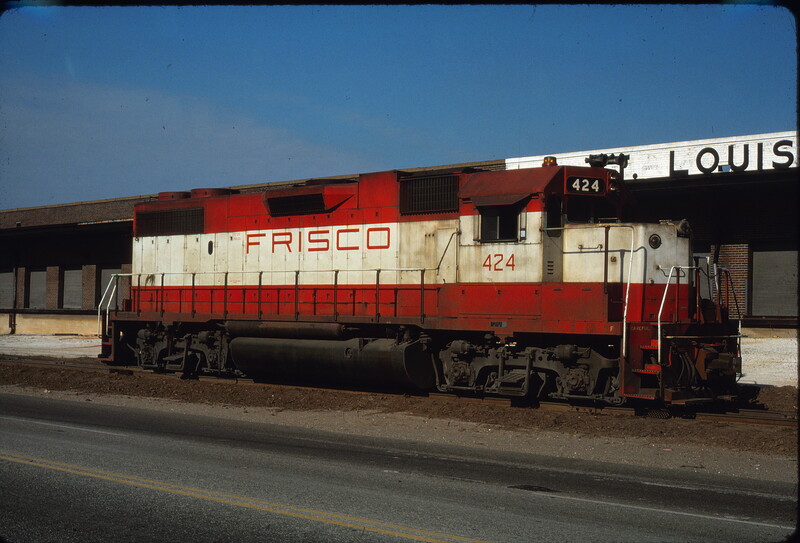 GP38-2 424 at Mobile, Alabama in February 1977 (Gordon Lloyd, Jr.). 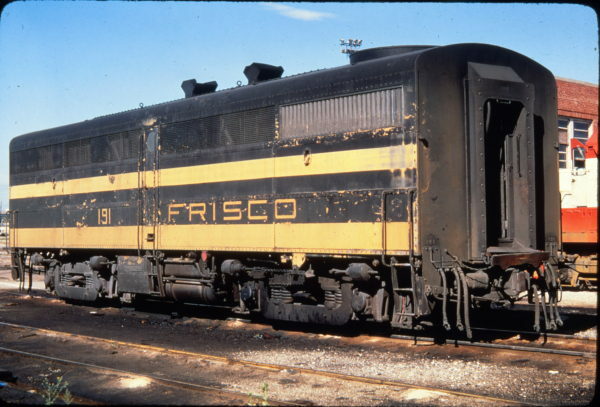 FB1 191 at Springfield, Missouri in September 1968 (Golden Spike Productions). 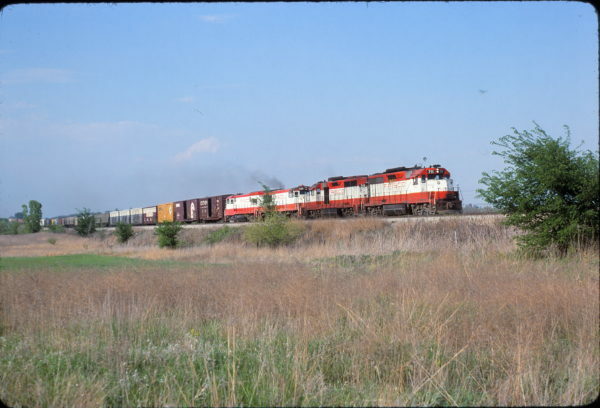 GP35s 711, 715 and U25B 820 somewhere (apparently) in Kansas in May 1980. 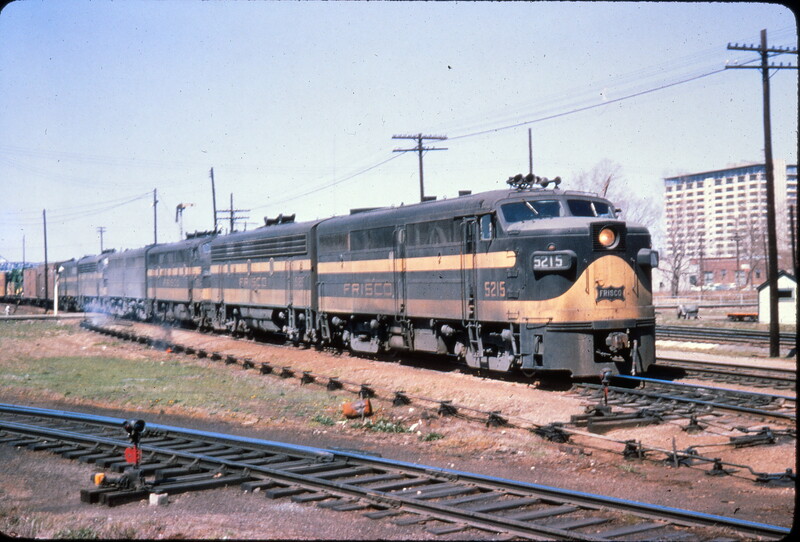 The fourth unit is unidentified. 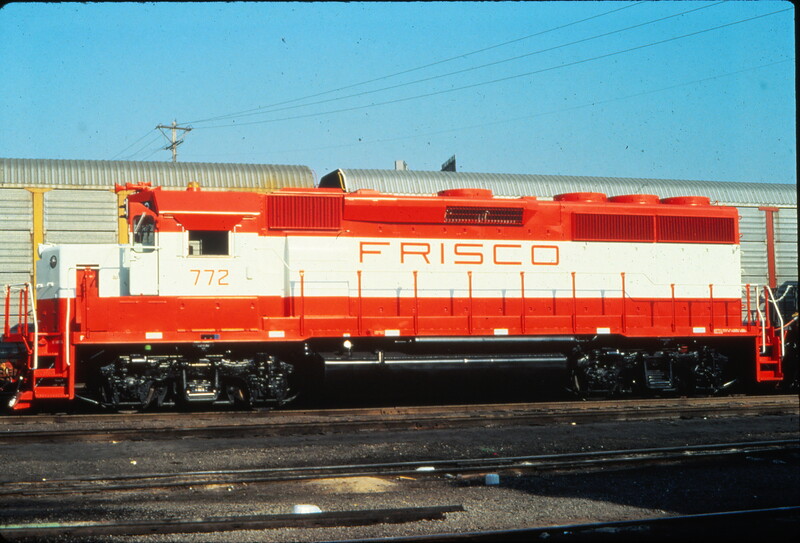 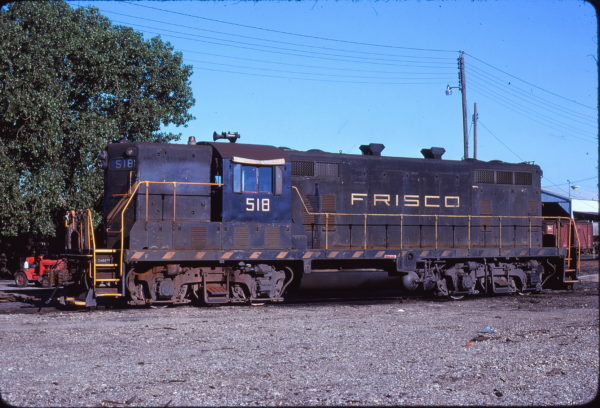 GP7 518 at Fort Worth, Texas in June 1976 (Bill Phillips). 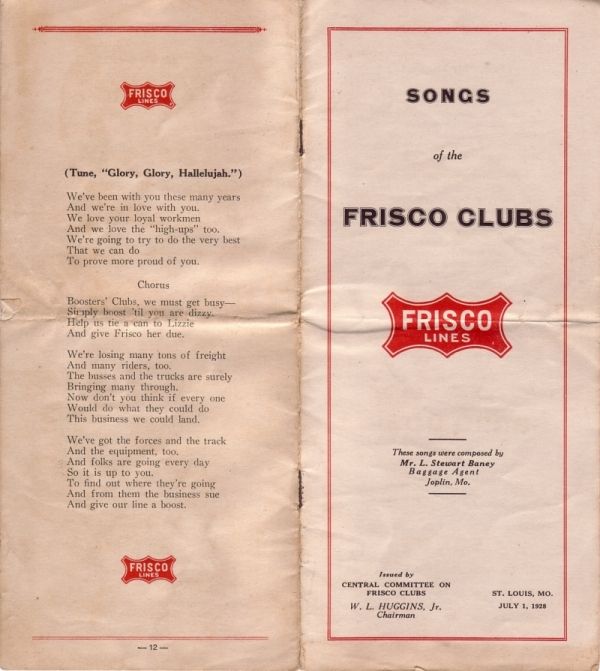 1928 – Songs of the Frisco Clubs (PDF).